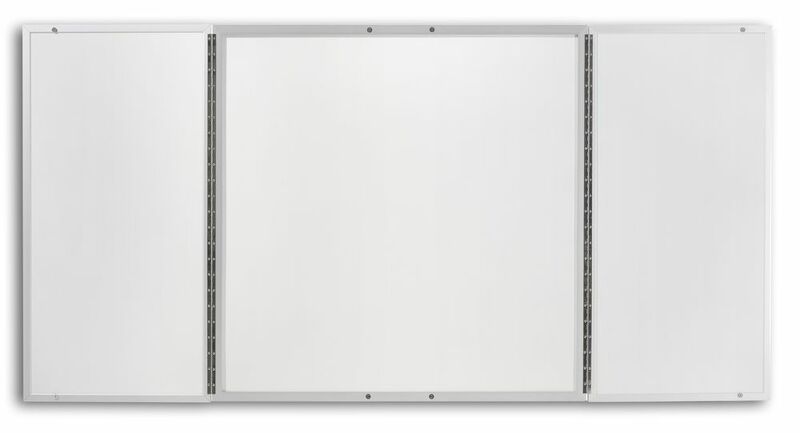 Our euro-styled conference room cabinets have a 4' x 4' white porcelain steel, magnetic receptive dry erase board in the back of the unit and on the inside of both doors giving you almost a full 8' of usable private dry erase writing surface. There is a satin anodized high profile trim around the perimeter of the conference cabinet that will give the unit depth and added rigidity. The conference cabinet weighs only about 70 pounds which is much lighter than our contemporary and traditional oak conference cabinets and the unit is easy to hang using the installation hardware included with your cabinet. The HP-404-AL00 is a quick ship model and should leave the factory in 1-2 working days. 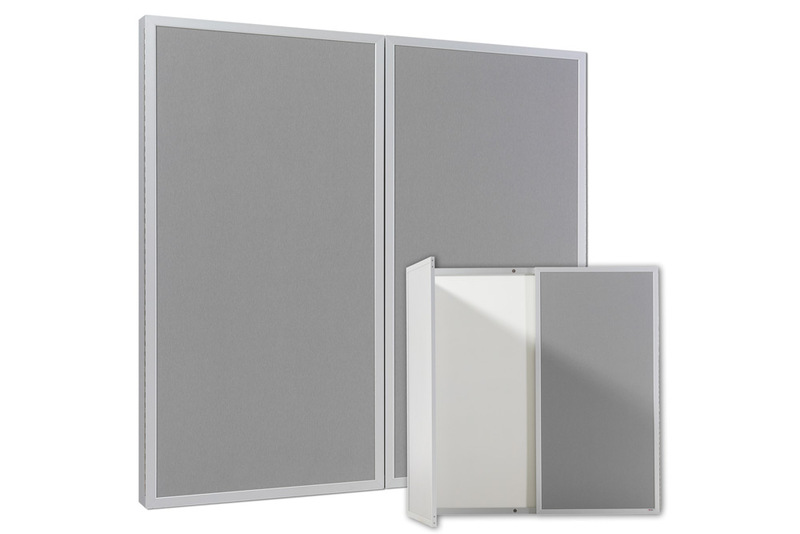 The doors are hung on full-length piano hinges and constructed of 1/2" fiberboard core with white porcelain steel, magnetic receptive dry erase board on the inside and a brushed aluminum laminate on the outside. They are held shut with a magnetic closure device at the top and bottom of the unit. 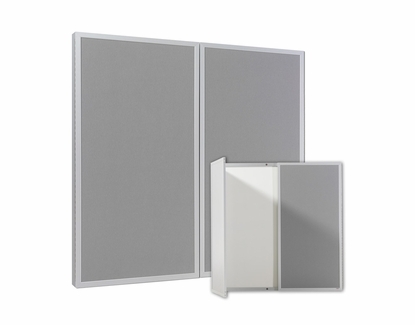 Because the back of the unit and the interior of the doors are a magnetic receptive dry erase panel there is no need for a cork bulletin board tack surface. Simply use magnets to hold up your private notices, etc. 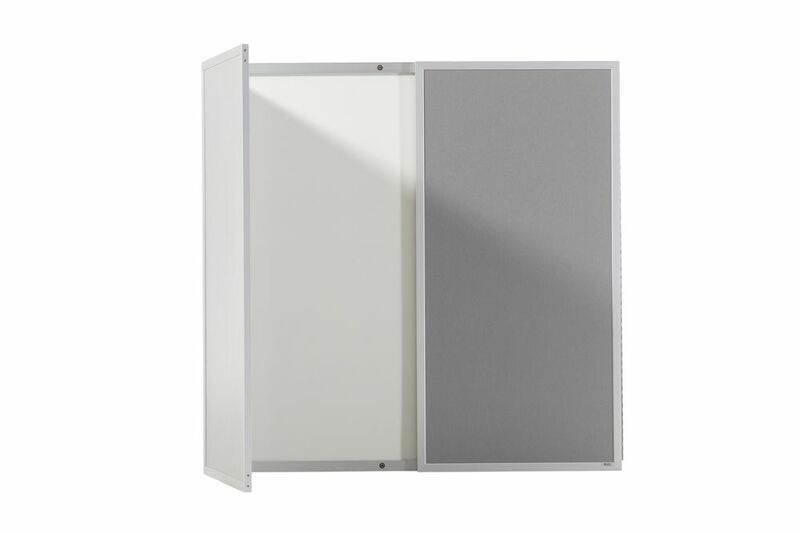 The outside depth of the unit is just over 2" giving this conference room cabinet a very sleek and slim look. 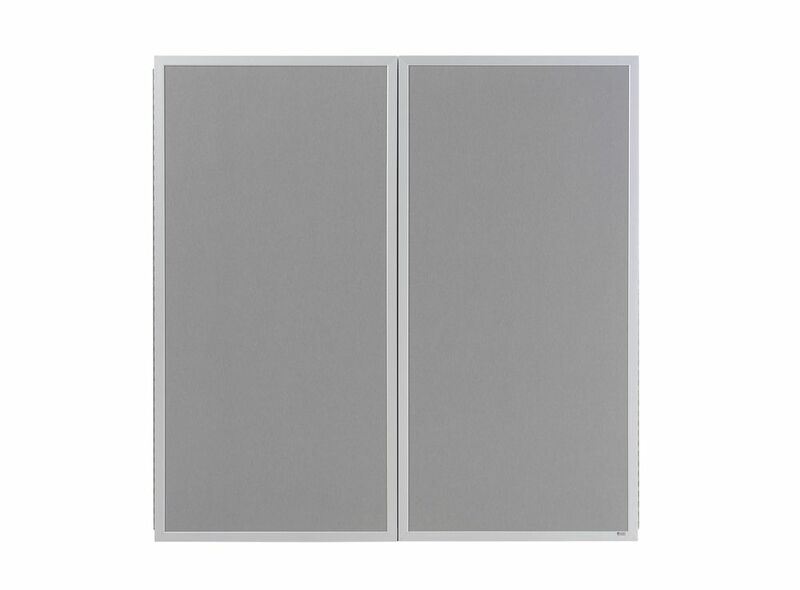 However, due to the thin design this enclosed executive whiteboard conference room cabinet does not lock and does not hold a flip chart. You can customize the outside of the cabinet with almost any fabric or vinyl materials for an up-charge. Contact customer service for assistance. 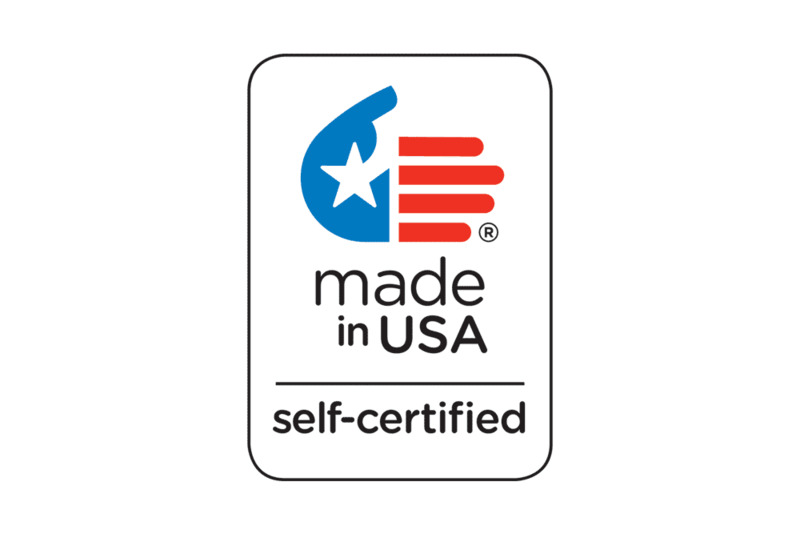 Please note: Lead-times for this product have been impacted by supplier issues. These are expected to be back ordered until mid-September. Overall Size Closed: 48" x 48"
Overall Size Open: 48" x 96"
Overall Weight: Approximately 70 lbs.